Lise Fitzpatrick is the Chief Operating Officer. The Chief Operating Officer (COO) is a new position in the association that collaborates with the AIS Associate Executive Director (AED) and reports to the AIS President. As the COO Lise manages the day to day operations in the AIS office and oversees management of all staff. The COO position maintains a strategic view of operations with functions including ensuring effective and efficient day to day operations of AIS that are responsive to member needs, coordinating balancing of responsibilities, tasks and projects among AIS staff and contractors, driving tactical association operations with the strategies as outlined by Council, overseeing vendor contracts, leading efforts in all marketing campaigns and conference exhibitor sales pursuits, supporting all Conference Chairs in efforts towards in the success of annual conferences, participating in weekly Leadership meetings and quarterly Council meetings. Matthew Nelson, CPA, Ph.D. is the Associate Executive Director (AED). The AED is a new part-time position in the association that collaborates with the AIS Chief Operating Officer (COO) and reports to the AIS President. The AIS COO manages day to day operations in the AIS Office and the AIS Staff report up through the AIS COO. The AED, on the other hand, assists the AIS President(s) and Council with implementation and overseeing of academic programs. Matt’s areas of AIS service include assisting in implementation planning of academic programs and related initiatives, preparing and researching Agenda Points for AIS Council (as needed), assisting the AIS VP Publications with development of AIS eLibrary and related initiatives, assisting the AIS COO in developing new and refining AIS Office Member Services for AIS Members with VP Membership, and participating in AIS Leadership Team Meetings and Council meetings. With more than 20 years of meeting planning experience, Robina is an expert in conference planning, vendor management, program development and strategic management planning to help corporate and incentive travel events thrive. Prior to joining AIS, Robina served as Director of Engagement Events and was responsible for all aspects of event production with a focus on overseeing details essential to successful events including contract negotiations and vendor relations. Robina is a graduate of Georgia State University with a degree in sociology. Robina’s areas of focus include overseeing all conference logistics – venues, audio visual, food and beverage, etc., serving as liaison to AMCIS Rep, ICIS Rep, and Conference Chairs, serving as liaison to conference venue and vendors, managing conference budget, and conducting site visits. Aretha Wright has served as the Administration Director of AIS for 9 years. Aretha has more than 20 years of administrative experience, in which over 10 years have been in higher education at Georgia State University. Aretha attended Georgia Perimeter College and Morris Brown College. Aretha’s areas of focus include Council Governance, AMCIS, ICIS Volunteer Coordination, managing AIS Awards, managing AIS Elections, serving as liaison for AIS Career Services, managing subscriptions for AIS eLibrary, AISWorld Listserv. Since graduating from the University of South Carolina, with a Bachelor of Science degree in Accounting, Tenez has worked for 25 years managing Financials. Having worked in both private and for profit sectors, she’s provided full cycle Accounting services to companies with revenue from $1M to $15M. For the last 12 years, Tenez has worked with AIS as their Finance Director. In that role she manages all financial matters for the Association, their conferences and SIGs (Special Interest Groups). With more than a decade of association management experience, Brook provides integrated marketing and communications strategies to help AIS thrive. She graduated from Indiana University with degrees in Journalism and Political Science and has served in a variety of communications positions with both K-12 and higher ed nonprofits. Brook’s duties with AIS include maintaining all AIS communications tools (websites, email, social media), managing all conference communications, and managing affinity programs and services. As association technology director for Meeting Expectations, Mahesh is responsible for advancing the technology goals of association management clients and optimizing systems and resources to meet their needs. He oversees the strategic direction of association technology services and is involved in the design, development, operation and maintenance of technology. He also works closely with vendors involved in association technology management. For AIS, Mahesh provides strategic review of technology solutions, serves as on-site technology support at AIS conferences, manages AIS IT security and safety. Jordan Alexander has more than 5 years of meeting planning experience and produces a variety of meetings and events for a diverse corporate and association client portfolio. Her responsibilities include conference management, site selection, agenda management, overall event logistics, ownership of budgets, food & beverage management, speaker management and audio visual production sourcing. Previously, she served as senior association coordinator responsible for events and speaker management. She earned a bachelor’s degree in sports management from Clemson University. Jordan’s duties include managing OAM submissions and onsite logistics, serving as the main point of contact for sponsors/exhibitors, overseeing sponsor/exhibitor fulfillment and onsite logistics and providing support for all conference logistics. With more than 15 years of customer service experience, Carmita joined the AIS team in 2016 as the office Administrative Assistant. She continues to provide excellent customer service essentials to the AIS office while performing a variety of office management systems and procedures. Carmita’s duties include: Managing membership renewal and reminder communications, providing eLibrary and DOI support, and providing conference support. Christen has 8 years of direct customer service and hospitality experience and acts as the first line of contact for AIS members and prospective members. Christen is a graduate of Indiana University Purdue University-Indianapolis with a degree in Tourism, Conventions and Event Management. Christen’s areas of focus include membership inquiries, general member benefits questions, and student chapters support. With 15 years of meeting planning experience, Sarah Jean is knowledgeable in conference planning including speaker and paper logistics, agenda building and committee management for both association and corporate entities. 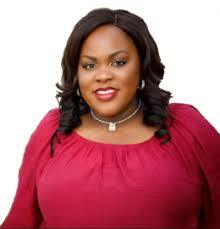 Sarah Jean is a graduate of the University of Central Florida with a degree in hospitality management. Sarah Jean’s areas of focus include supporting the Program Chairs during the submissions and review process, building the session agenda and upload management of all accepted papers. She also authenticates membership for JAIS and CAIS paper submissions and approves use of published work. Faith serves as the first point of contact for all conference registration needs. She also provides Invitation/Visa letters to help members travel easily and efficiently to conferences. Monica serves as copy editor of the Journal of the Association for Information Systems. In this role she provides support to the journal’s managing editor, handles editorial-related inquiries, and provides copyright support. Adam LeBrocq has more than seven years of experience in academic editing and trade publishing. He has edited and helped to produce hundreds of academic papers, trade books, and news articles. He has a B.A. in Languages and Linguistics and a G.Dip in Writing, Editing, and Publishing from Griffith University and the University of Queensland, respectively. He has also served as an Academic Tutor for the Fundamentals of Writing course at the University of Queensland. For AIS, Adam copyedits Communications of the Association for Information Systems, Transactions on Human-Computer Interaction, and Journal of Information Technology Theory and Application, maintains the AIS’s style guide, handles copyright matters for the AIS, provides support to each journal’s managing editor (training, formatting, etc. ), and handles editorial-related inquiries. Can't find what you are looking for? Call us at +1-404-413-7445 or send us an email at membership@aisnet.org, and we will make sure to answer your question expertly and promptly. To review our membership service pledge, click here. Have a question? Take a look at our FAQs!